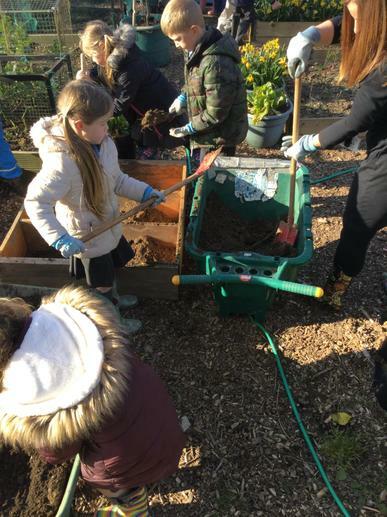 With the help of Mrs Hills and Mrs Dickerson we are starting to dig up and move a huge pile of topsoil from outside the Junior School down to the outdoor classroom. We'll use it to fill our new raised beds. Mrs Coles is retiring as a dinner lady but coming back to help at Gardening Club. She helped us this week to deadhead the daffodils. Meanwhile, some of us, with the help of Mrs Jones, weeded the flower beds outside the Year 1 classrooms. 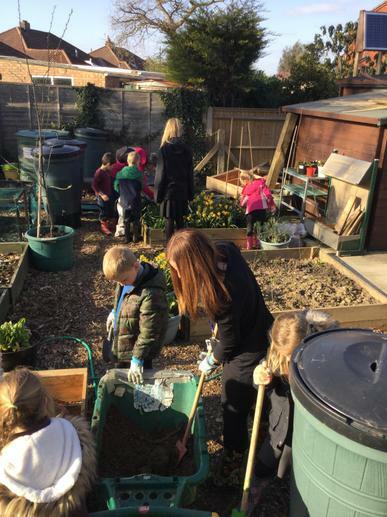 The first week back at gardening club was beautifully sunny. Lots of plants are starting to spring up. The daffodils we planted in the autumn are looking really pretty. 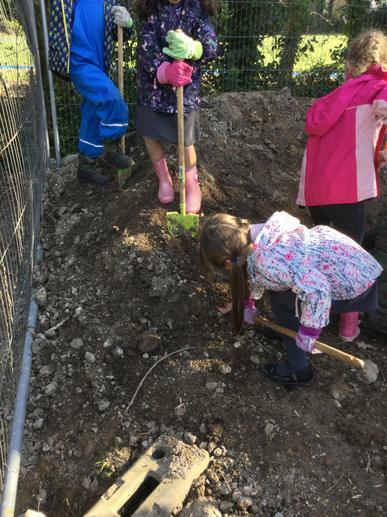 The children started to plant some fruiting trees as a hedge around the amphitheatre in the woodland clearing. We hope they'll encourage the birds. We also scattered some wildflower seeds around . We're hoping they will look fabulous in the summer. We had a busy week at club. We now have a new greenhouse and some of us used our constructing skills to build the shelving for it. Mr Feast helped us do some weeding and plant onions and carrots in a raised bed. We found some garlic growing that we had forgotten we'd planted! 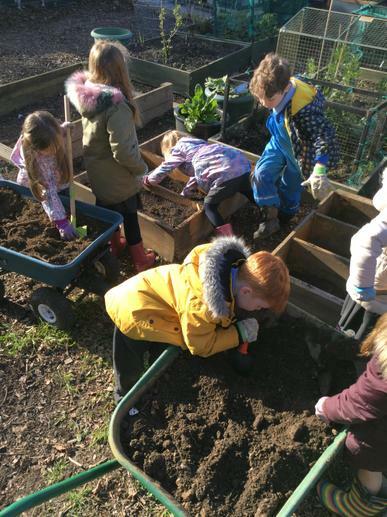 Meanwhile some other children planted sweet pea, cosmos and aster seeds in trays. 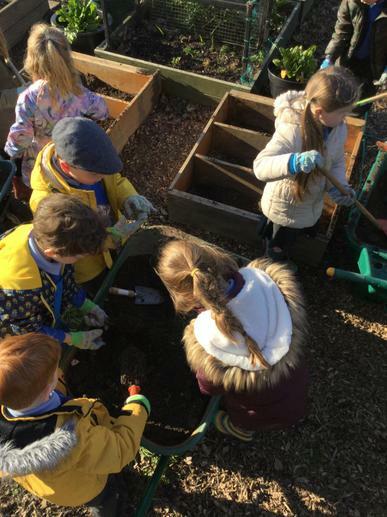 Hopefully, if we look after them well, they'll grow and we'll have more beautiful flowers around the school in the summer.